We Have NO DEALER or DOC FEE!!! **REAR VIEW BACK-UP CAMERA! **, **BLUETOOTH HANDS-FREE CALLING! 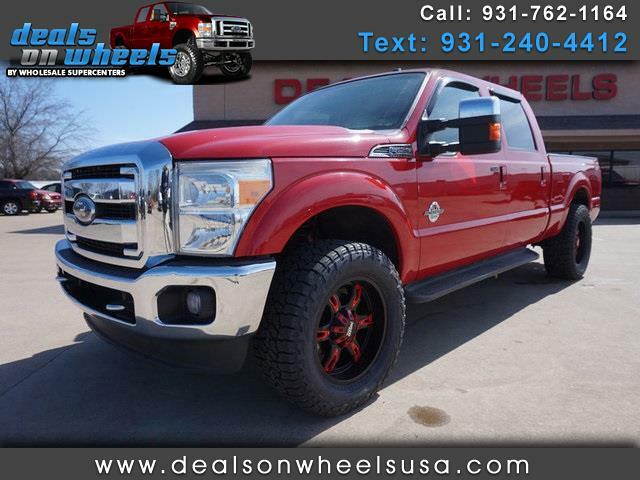 **, **HEATED AND COOLED LEATHER SEATS**, **PREMIUM STEREO**, **TURBO DIESEL POWER**, NO DEALER OR DOC FEES, F-250 SuperDuty Lariat, 4D Crew Cab, Power Stroke 6.7L V8 DI 32V OHV Turbodiesel, TorqShift 6-Speed Automatic with Overdrive, 4WD, Vermillion Red, 20" Premium Cast Aluminum Wheels, 9 Speakers, Lariat Interior Package, Memory Power Adjustable Pedals, Memory Power Heated/Cooled Driver Seat, Memory PowerScope Trailer-Tow Mirrors, Power Heated/Cooled Passenger Seat, Radio: Premium AM/FM Stereo w/Single-CD/MP3 Player, Rear-View Camera, Remote Start System, Satellite Radio. Recent Arrival!